It’s important not to just create one flyer and sit back waiting for the phone to ring. Run several flyers in different areas with different offers to see which ones are increasing profitability to your business and which aren’t. Many factors can effect whether your advertising is working including the time of year, demand for your product or service and also your flyer design. To measure the effectiveness of your letterbox marketing, you need to monitor your sales and keep track of new customers, requests for information, phone inquiries and even web-site traffic. Here are some ideas that will help you not only determine the effectiveness of your flyers but will also give you some new marketing ideas. Compare your sales before, during and after your letterbox campaign. Keep in mind that advertising often has a delayed effect and can then grow steadily, so sales that result from your flyer may not materialize immediately. With letterbox materials, include a coupon that customers can redeem for a discount or gift with their purchase. Code the coupons so you can determine which ad or publication gives you the best results. If your business is a storefront rather than an office space, track retail traffic by counting the people who enter your store. Don’t forget to monitor traffic before you start the letterbox campaign, so you’ll have a basis for comparison. Use dedicated phone lines to track responses. For example, if you mention a toll-free number in on your flyer, assign different extensions to particular flyers. Your web site should have a form that visitors can fill out to request more information. That form should also include a place that potential customers can put in where they heard of your company. Compare the before and after advertising traffic on your Web site. Your Web host logs the hits on your site and should be able to provide you with daily, weekly or monthly reports. Don’t overlook the basic approach: Ask all new customers how they heard about your business. Remember that repetition is important. 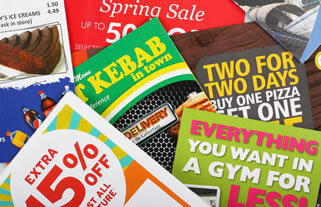 Often customers are more likely to purchase after seeing your flyers in the letterbox 3 times. Keep in mind that you can’t measure success if you don’t know what you’re trying to achieve. Make sure you have clear advertising goals. You might want to boost business overall, but your objective should be more specific. For instance you might want to increase sales of new products such as digital video recorders or a new service such as GPS or video. Another goal might be to build awareness of your company. At certain times of the year you might want to stimulate overall sales or expand your business in a particular market such as home integration. By combining the way you measure your ads with your goals, you’ll know when your ad campaign is working. To answer this question is simple.. Letterbox drops work far better than any other form of advertising for small business. Just look at the major retail chains for example and how much they spend on letterbox advertising. Letterbox flyers are extremely targeted and cost effective, bringing sales in the door. We even use it to promote our own business! Read some of our testimonials to learn how they are working for other businesses.